You’ve been fell in love with Vietnamese hair extensions and still have no ideas what to do with them? Here is what you have been looking for. Keep scrolling to have more interesting ideas. Nothing to see here, folks-or is there? 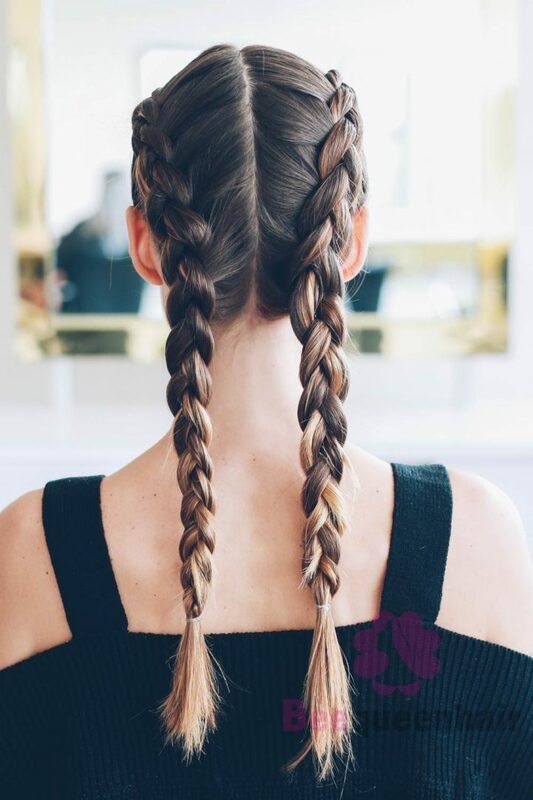 A straightforward three-strand plait done in the middle of your mane, to be hidden or not as desired, is as low-key as it gets. To create this stitch, pinch a 2-inch section of Vietnamese hair extensions and divide it into three strips. Cross the left strip over towards the right, then repeat with the right strip. Continue till the ends and secure with a small elastic. Similar to the above but done on the fringe or bang hairline, this look is certainly a more stylish option for keeping your Vietnamese hair extensions (if you use them) out of your facewhich makes it great for school, work or even working out. Wrapping a string or ribbon around random sections of hair in a crisscross pattern is something almost everyone can do, and the payoff, as seen here, is a gorgeous cross between boho and West Coast cool. This style will a highlight when you use Vietnamese hair extensions to apply it. If you were ever bored in class and started playing with your Vietnamese hair extension, you’re halfway there with this look, honey. 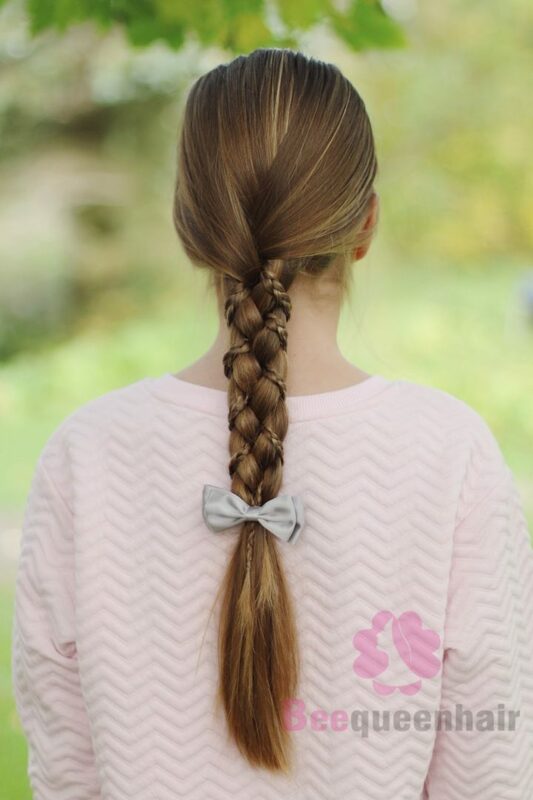 Start with splitting hair in the back down the middle, then begin a regular three-strand (crossing-over stitch) braid on each section, tying each off with an elastic. This takes a bit of maneuvering-perhaps even between two mirrors-but once you get the hang of it, this skill stays with you for life. Start by grabbing three separate pinches of your Vietnamese hair extensions at the hairline, then crossing the left over the right, but grabbing new pinches from each side as you go down the head. After you pass the scalp you can free-braid till the ends. 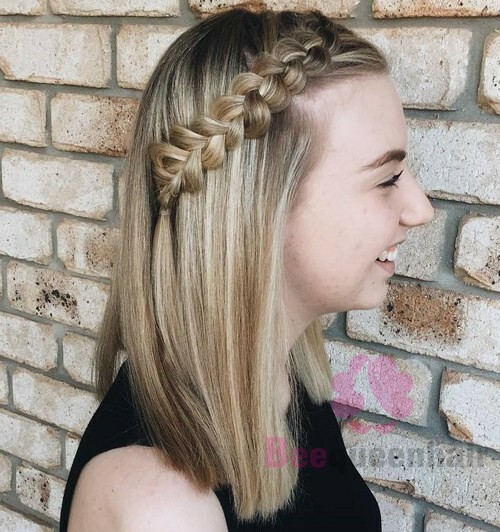 This can be called the half-French, only in that you pinch new hair only on one side of the head (the back), and leave the forehead side of the link “closed.” Like a regular three-strand braid, you cross the left over the right, and incorporate new hair into the right before it crosses over to the left. Start by creating a side part, and start grabbing hair immediately after the partline, working towards that ear. Free-braid once you pass the temple, and secure with a hair tie. Need more guidance? Peep our tutorial here. Have you got any ideas to do your hair extensions? Extensions with Vietnamese human hair can provide the convenience for you to change your look anytime. Also, it can fix all the troubles you get into with your natural hair temporarily. BeeQueenhair extensions brands which have the sources of Vietnam human hair, are used and suggested by a large number of users. Our high-quality Vietnamese hair products can help for people to get the best effects from applying those shiny, gorgeous and beautiful hair extensions for enhancing and transforming their hair look.